Tennessee, more commonly known as the Volunteer State, is not a big state and has mild population density. Several history events are associated with this state. Tennessee State has diligently paid its tribute to the music world and many rock ‘n’ roll. Blue genre was also developed in Tennessee in its early years. 1796, Tennessee became 16th state under US constitution and made this year valuable. 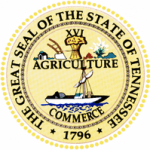 Agriculture, manufacturing and tourism have thrived in Tennessee and are major revenue generators. Income tax is not levied here, but earnings from stock market and trading comes under taxable slab. What is Tennessee Board of Nursing and what are its responsibilities? Tennessee Board of Nursing was established in 1911 by State Legislation under enactment of Nurse Practice act in Tennessee State. State Legislation has defined the various work responsibilities, functions and authorities of Tennessee Board of Nursing, which is responsible for regulation of nursing policies to safeguard public interests in state. Tennessee nurses foundation has helped a lot in promoting nursing programs in Tennessee State. Registers complaints and provides peer assistance in enforcing safe and healthy nursing practice. States various policies, laws and statues related to nursing and professional conduct. Provides publications and information on various health topics and nurse education topics. Most of the people do not care about knowing the vision and mission of Tennessee Board of Nursing and think that the board is meant for nursing professional only. In fact, nursing board is not meant for nursing professional, it is a worthy step by Tennessee Department of Health to obligate nursing education in State. Board is meant for all the residents, all nursing applicants, all working professionals, parents and especially for those, who are in need of health care services. Who are current Board members of Tennessee Board of Nursing? Here is a list of various board members of Tennessee Board of Nursing.